Boston, MA – Matt McKee will be displaying one of his signature works, Cherry Bomb! at the opening reception for the Cambridge Art Association’s 2016 Biennial on Nov. 19, 2016. The exhibit takes place at the Kathryn Schultz Gallery in Cambridge, MA and runs through December 21, 2016. The Cherry Bomb! image is part of the larger series, Sweet Blasts! which combines the high explosive potential of a hand grenade fuse with the basic food staples of our diet to illustrate humanity’s interference with nature. From processed fruits and foods to industrialized meat and fish, each image features hyper-idealized subjects with obsessive commercial perfection, punctured by Man’s ability to blow it all up, says Matt Mckee. 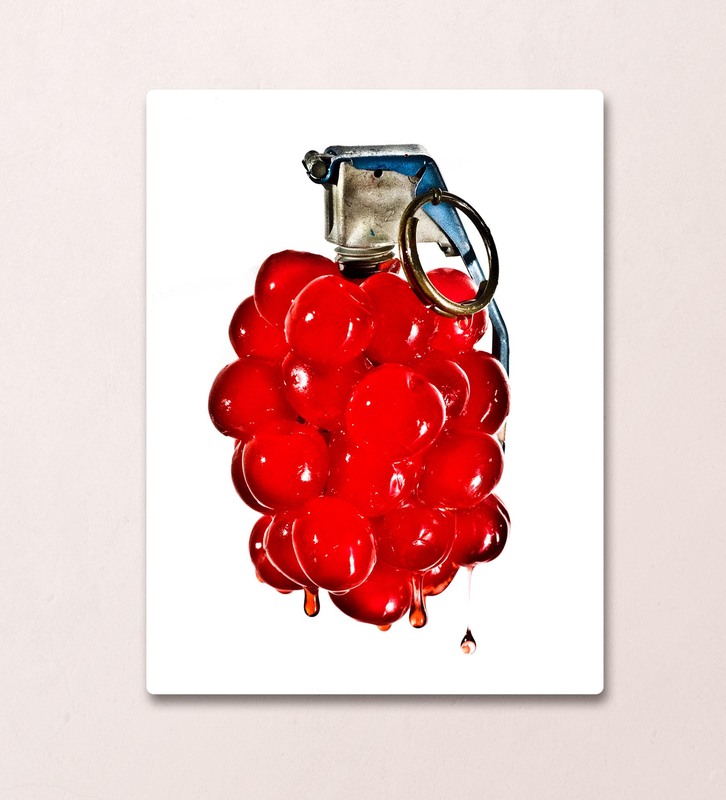 According to Mckee, “Cherry Bomb!, the 16 x 20” limited edition print on aluminum has become a touch stone for foodies and the global green food movement who are concerned about wholesome foods and the integrity of our food supply.” Matt McKee is a professional photographer with a gallery in Boston, MA whose defining principle behind image-making is that the “moment of truth” is more often crafted and well planned than happenstance.